Our goal is to stay connected with the community. Find MARTA Police on your favorite social media sites! MARTA Police post the latest news, share photos of MPD officers and activities, and information updates as necessary. 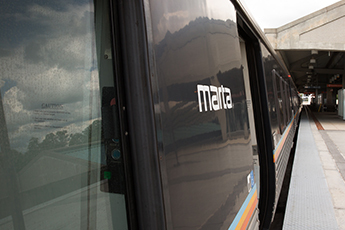 MARTA Police post daily content related to the department, tips on safety, and information updates as necessary. MARTA Police have created the See & Say app so riders can reach MARTA police easily from their smart devices.